The 2014 Fort Lauderdale International Boat Show is set and almost here. 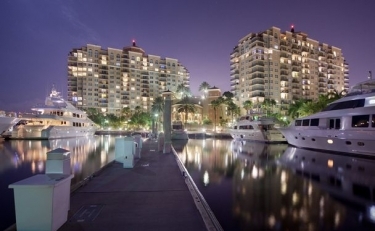 Yes the "Venice of America" as sunny Fort Lauderdale is the yachting and boating capital of the world and there's no better city for a boat show. Now in its 55th year and with over 3 million square feet of exhibit space at seven venues. 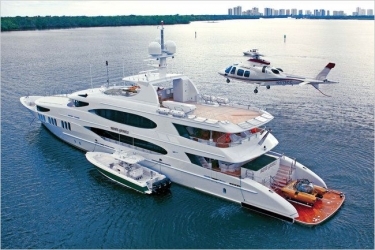 The South Florida luxury real estate market is one of the best areas to dock your vessel. Come and see the amazing models on display as well as some of the Fort Lauderdale homes for sale. 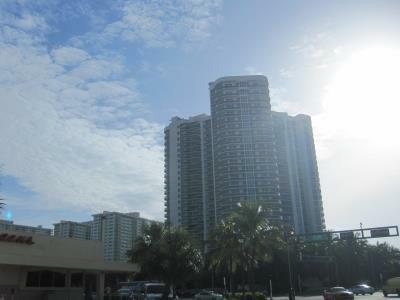 3015 N Ocean Blvd Unit 9B, Fort Lauderdale, FL 33308 2 Bedroom 2 Bathroom Reduced $237,500.00 The Berkley South tower on Fort Lauderdale beach is one of the most popular and sought after addresses on the ocean. This condominium building is known for unmatched views and values when it comes to waterfront living and in the prime location on the beach. With this two bedroom and two bathroom unit at almost 1,100 sq. feet on the 9th floor is the lowest priced two bedroom in the building as well as in the entire area. The Berkley South has a long list of amenities including: a heated swimming pool, enclosed garage parking space, recreation room, community room, fitness center & spa to name a few. The ground level has a remodeled foyer and lobby as well as 24-hour security and guard. Please contact Fort Lauderdale realtor Keith Hasting at 305.778.0244 or email keith@keithhasting.com to view this property or when you are ready to sell. Want to know what your property is worth? Feel free to call or email for a free no obligation home value analysis appointment today. 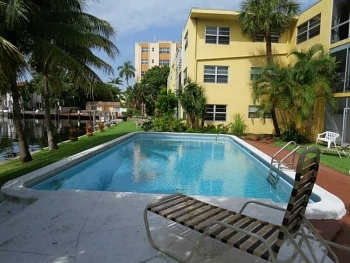 Mayfair Arms on Las Olas 1790 E Las Olas Blvd, Unit 21 Fort Lauderdale, FL 33301 2 Bedroom 2 Bathroom $159,900 The Las Olas area is home to the most stunning homes and condos in South Florida and this lovely Co-Op makes living here affordable. There is one of the best views right outside your sliding glass door as it overlooks the waterfront that takes you right to the ocean. The very heart of the worlds largest yachting community makes it way by everyday and the swimming pool is just steps away. The remodeled kitchen is spacious and well laid out and perfect for those that like to cook. With a large master suite and bathroom as well as a large walk in closet. If you never thought you could live in or near Las Olas than you need to see this property. Contact Fort Lauderdale realtor Keith Hasting at 305.778.0244 or email keith@keithhasting.com for more information or for a viewing. New Doctor Loan offers 100% Financing If you have spent years preparing for the healthcare needs of your community and our home shopping (or plan on soon) this is a new loan that all Physicians should truly take advantage of. This is the perfect time and perfect loan for any doctor to buy a new home in the Fort Lauderdale area real estate market. This new mortgage proudly offers Doctors a loan option of 100% financing with a home purchase price of up to $650,000 in South Florida. Did you possibly want to spend more then the $650,000 you can qualify for up to $1,000,000 with only 5% down or up to $1,500,000 with only 10% down. There is also one more amazing benefit that mortgage insurance is NOT required for those that qualify. This loan also allows: gifts, employer loans/ seller contributions. For professionals in the following fields can apply: During Internship Residency and Fellowship in MD and DO Programs Current Doctors Please contact Fort Lauderdale realtor Keith Hasting at 305.778.0244 or email him at keith@keithhasting.com and receive more information on this amazing (and limited time ) loan special. 3200 N. Ocean Blvd. , Unit 605, Fort Lauderdale, FL 33308 With amazing Atlantic Ocean views from every room on this 6th floor condo at the L'Hermitage. 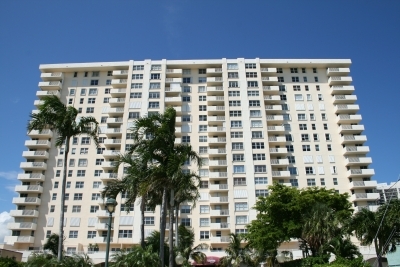 Large balcony and resort like amenities that nothing else can compare in the Fort Lauderdale Luxury real estate market. Featuring a gatehouse, tennis courts, swimming pools, fitness center, tropical landscape grounds, 10 acres of ocean front property. This condo has 2 bedrooms and 2 bathrooms over 1,600 sq. feet and a well laid out open floor plan. Call Fort Lauderdale luxury realtor Keith Hasting at 305.778.0244 to view this condo or for more photos on this condo or more information. As we head into August and settle into later summer here is a recap of sales activity for the Vantage View condominium tower. There is currently only one active listing in Vantage View and it is priced at $295,000 and is a two bedroom, two bathroom unit on the 4th floor. If you have been on the fence about possibly listing and selling your condo in Vantage View this may be an excellent time as there is only the one unit to compete with. 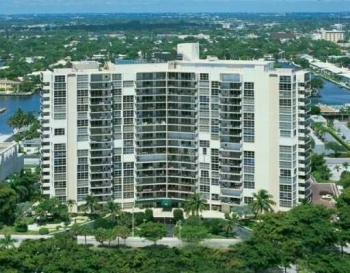 With shoppers looking for Fort Lauderdale waterfront condos the Vantage View is a popular choice and represent an excellent value at its price range. An easy reminder that come late fall and into winter you most likely will see an increase of listings which will actually make it harder to sell. The Vantage View was built in 1975 and has a unique design as it allows superior views with windows from the ground up. One other great feature of Vantage View (and with crediting to its name) is the spectacular roof top swimming pool with views of the ocean and downtown Fort Lauderdale. 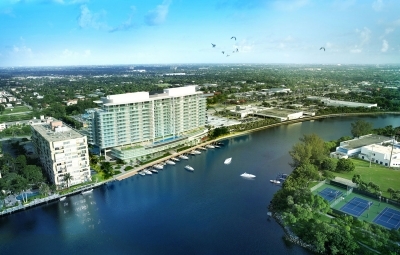 Riva Fort Lauderdale: Riverside The brand new Riva Fort Lauderdale is being built on the Middle River opposite of the 20-acre George English Park and near the high-end shopping of the Galleria. 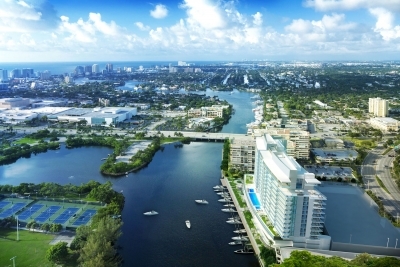 With its amazing location and first of its kind design for Fort Lauderdale Luxury real estate Riva Fort Lauderdale promises to exceed all expectations. With choices of ten different floor plans including the Riverside floor plan which is highlighted here. Size & Dimensions- 3 bedrooms, 3 and half bathrooms Living space=2,224 sq. feet Terrace=907 sq. feet Total living space=3,131 sq. feet Residence Features: Private elevator access 9' ceiling heights Tinted, energy-efficient, hurricane resistant windows & glass doors Pre-wired for high speed internet, cable TV and data/ voice Energy efficient air heating and cooling system Large and livable outdoor terraces (largest in South Florida when comparing to other luxury condos) with dimensions that go up to 13 feet and 72 feet long "Summer kitchen" on outdoor terraces and built in grill and counters Baths include: Modern sensual "wet room" design combines showers and bath in large stone and glass area Lighted vanity mirror Stone counters featuring under mount sinks Porcelain flooring Kitchens include: Imported Italian design cabinetry Stone counter with under mount sinks Sub-zero/ Wolf premium appliances with gas cooktop Wine storage Price range=$1,060,000-$1,225,000 Call Keith Hasting with Castelli Real Estate at 305.778.0244 or email at keith@keithhasting,com today for more information or viewing.